Daniel Leclair holds a masters degree in public administration and a business degree in marketing. As an executive in the federal public service for 20 years he has developed practical experience to provide valuable advice and training in the fields of service excellence, governance, public sector marketing, cultural transformation, employee engagement, team building and partnership development. He is also an international speaker, having spoken about these topics across Canada and internationally in Malaysia, India and South Africa. 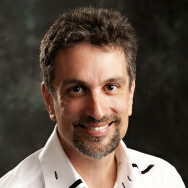 Daniel also teaches a course on Service excellence for executives at the Canada School of Public Service. He is bilingual, providing his services in both French and English.